I have decided to make “The Moon Cried Blood” free for Mother’s Day as a promotion. It is a coming-of-age story about a young girl who discovers that she is from a long line of witches who are imbued with powers by the moon, known as Luna Our heroine, Leticia, has been separated from her institutionalized mother. She has been raised by her stepmother. Much of this story has to do with how we, as young women coming to understand our womanhood, our lives, our communities and where we come from, need to get to know our mothers and our grandmothers in order to better understand ourselves. 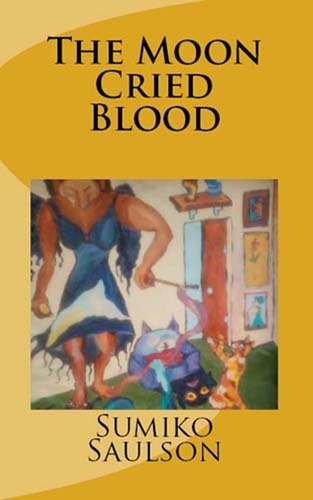 I hope you will check out – and enjoy – “The Moon Cried Blood,” a work of dark fiction/urban fantasy about a young girl of black and Latina heritage in the mid 70s struggling to survive and reconnect with the women in her family, who are the only ones who can help her to understand and control her newfound powers. ~ by Sumiko Saulson on May 11, 2013.